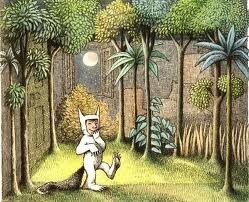 Where The Wild Things Are is about a little boy named Max, who got in trouble with his mom and got sent to his room. 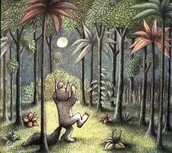 The night he got sent to his room a forest grew. 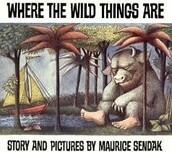 Max went in the forest and found a boat and he sailed to where the wild things actually are. 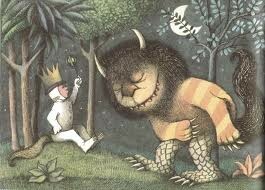 Max tamed them with a magic trick, so the monsters got frightened and made him the most wild thing of all; the King of all wild things. Max felt lonely and missed when he was loved so he gave up being the King and went back home where he found his dinner waiting for him. The author and illustrator of my book is Maurice Sendak. The year my book won the Caldecott Medal was 1964 for the most distinguished picture book of the year. I think he wrote the book teach a lesson, to not be bad or mean to your parents. Some intresting facts about my illustrator are: 1. He was born June 10,1928 in Brooklyn, NY 2. He died May 8 2012, Danbury, CT. 3. 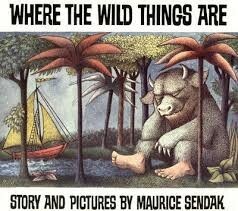 He wrote some other books such as In The Night Kitchen, Outside Over There, Little Bear, and of course Where The Wild Things Are. 4. His education was Art Students League Of New York. 5. 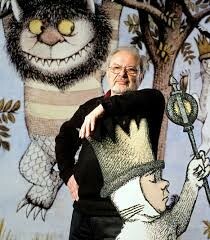 Some other awards he won were the Astrid Lindgren Memorial Award and many more besides the Caldecott Medal. The book I read won the Caldecott because each word was carefully chosen and fits together well. It's a great book. The writing and illustrations are great! In The Funny Little Woman there is more words than Where The Wild Things Are. The illustrations are also quite different. The Funny Little Woman grabbed my attention more because it has more good words then Where The Wild Things Are, and I like the pictures a little more in The Funny Little Woman. The Funny Little Woman Is more exciting and for humor. I like both of the books they are both great and both deserved the Caldecott Medal! Max walking into the forest. Max acting like a monster. One of the Wild Things bowing to Max the "Wild King".